Horse Summer Camp in Northern Virginia | Criswood Farm and Tack shop Equestrian Center serving Northern Virginia | Horse Summer Camp, horse summer camp near me, Horseback Riding Lessons, Horse Boarding, horse boarding near me, horse riding school, Horse Stables, English and Western horse lessons for adults and kids, summer horse camp for children. 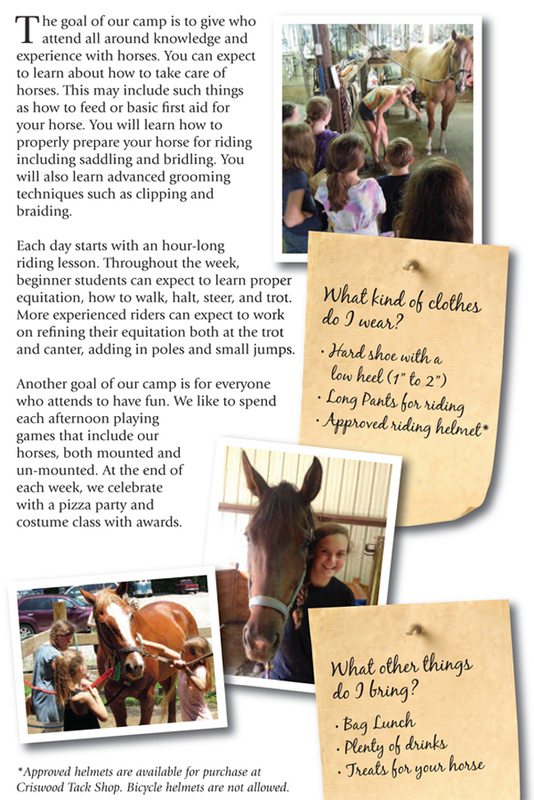 Horse Summer Camp Riding Applications. 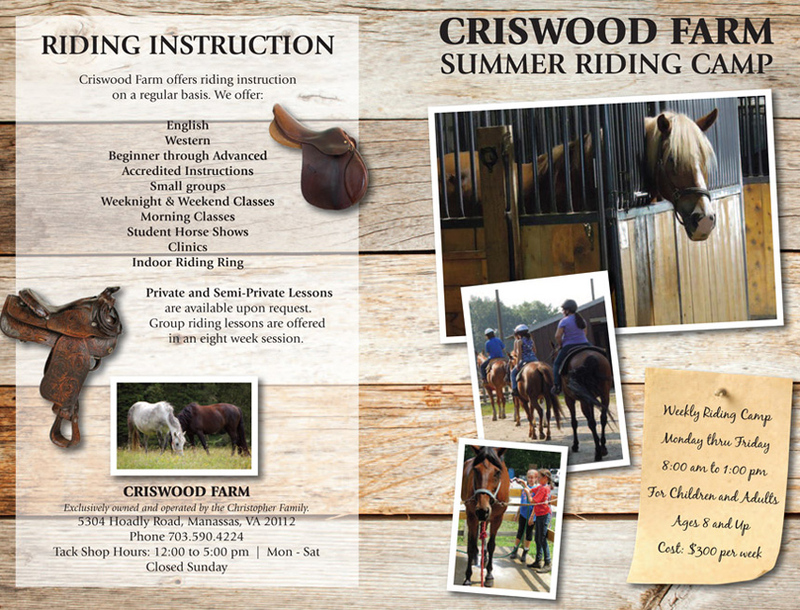 Criswood Farm & Tack Shop thanks everyone for another great 2018 Summer Camp season and looks forward to seeing everyone again in 2019. The Horse Summer Camps run weekly, Monday thru Friday, and we start accepting applications on March 15, 2019. The Horses and our staff can't wait to see everyone. Please click on the application link to print and fill out your application form early - classes fill up very fast. Drop completed application off at our Tack Shop or mail to: 5304 Hoadly Road, Manassas, VA 20112. The cost for Summer Camp is $325.00 from 8:00 am to 1:00 pm. Starting at 1:00 pm we also offer a special after hours session for an additional fee. Call us for details. Please Note: June 12 -14 is a partial week costing $200. Please complete, sign and date the application and mail or bring to the farm with deposit.